Back when dares were a real cause for concern (remember the playground shame of backing out? ), the task at hand wasn’t always something that’d make you a better person. Kissing frogs, jumping off of the top of the jungle gym, screaming a newly learned obscenity at the top of your lungs… yeah, our dares aren’t like that. In fact, they’re good for you and will make you a better, more fashion-savvy person. 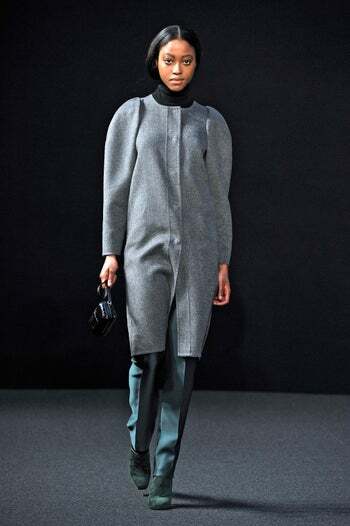 We’ve got five must-trys inspired by the fall shows, involving complicated silhouettes, challenging pairings, and look-at-me design elements that will push your sartorial boundaries and sharpen your eye. These trends looked great on the runways, and we think they’d look even better on you. Click through — we double dog dare ya! Dresses Over Pants — Learn from your mistakes. Those bootcut jeans + terry cloth dress outfit you loved so much in high school will not fly anymore. The trick is to find a tapered, cropped pair of trousers in a print or texture and a dress that has a straight, non-cinched silhouette. 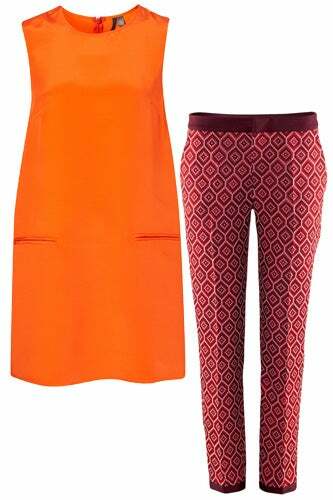 Topshop Silk Pocket Dress, $160, available at Topshop; H&M Pants, $49.95, available at H&M. 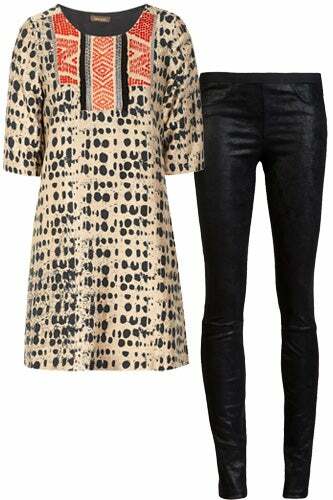 Vineet Bahl Embroidered Printed Faille Tunic, $260, available at Net-A-Porter; Helmut Lang Patina Leather Leggings, $920, available at Zoe. Padded Hips — You’ve mastered the peplum, you’ve aced the full skirt… now, it’s time to figure out padded hips. 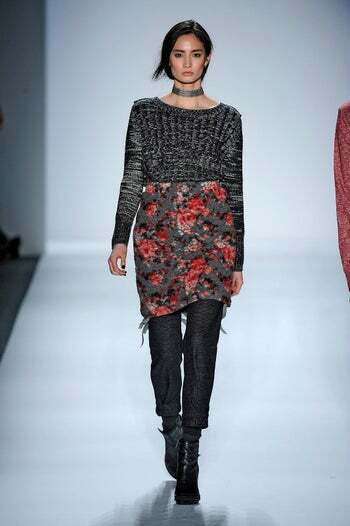 Start with a bit of a structured skirt in a stiff fabric like neoprene (a fitted bodice helps keep the shape in check). Once you’re comfortable, go for a bit more wire structuring underneath to help you achieve that volume. 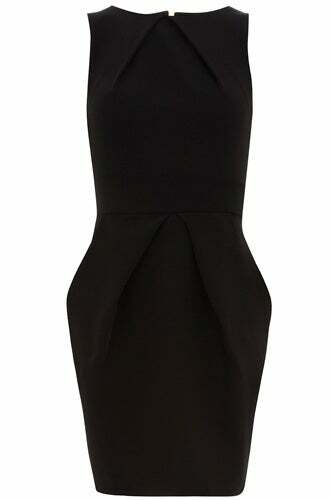 Dorothy Perkins Pleat Dress, $79, available at Dorothy Perkins. 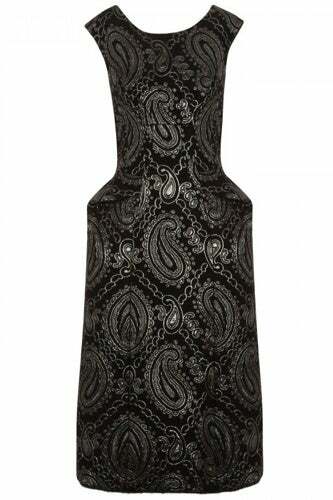 Marc Jacobs Jacquard Wool Blend Dress, $3,120, available at Harvey Nichols. Sparkling Trousers — Loose-fit, sparkling (sometimes sheer) trousers were everywhere last season, and the secret to making them work IRL is to wear your party pants with a casual, simple basic like a gray sweater or a white T-shirt. Leave the whole-body sparkle for Mariah Carey. Arynk Gilded Sequin Pant, $97, available at Pixie Market. Reiss Sparkle Embellished Leggings, $330, available at Reiss. Vertical Stripes — Awning stripes are a big trend this season, but they may only seem appropriate for aspirational Bozos. 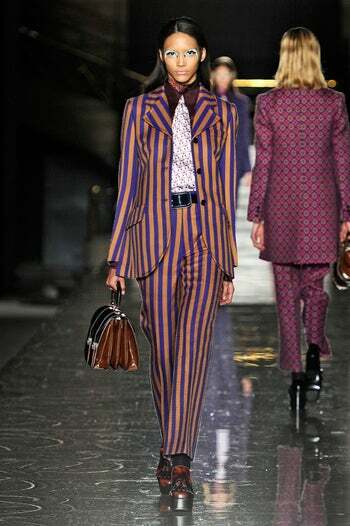 As it turns out, there’s no need to do the full-on Prada striped suit just yet. Start small with thin stripes and leg-lengthening pants that look good on everyone. 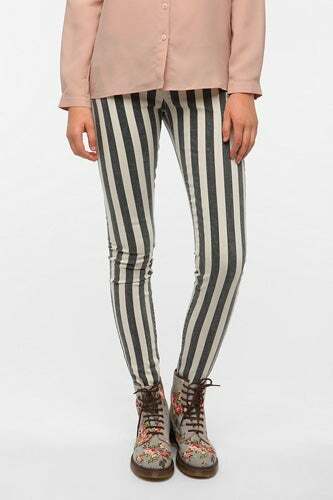 Lucca Couture Striped Jean, $68, available at Urban Outfitters. Want a little incentive? Shop our exclusive Lucca Couture voucher on R29 Shops for a deal that’s worth 50% off! 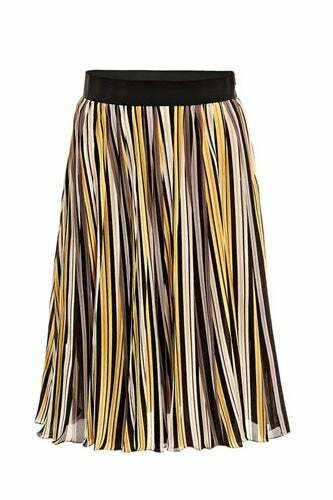 Sportmax Riviera Skirt, $680, available at Matches. Oversized Sleeves — Exaggerated coat sleeves were a favorite of Power Women in the ’80s, and it’s time to bring the look back back. In neutral grays, blacks, and creams unadorned with buttons, pockets, and plackets, these voluminous- or XL-sleeved coats will seem modern instead of dated. 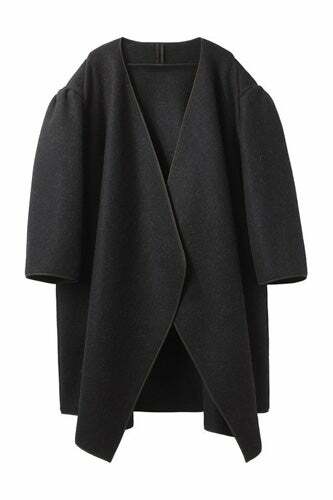 Topshop Premium Domed Sleeve Coat, $350, available at Topshop. 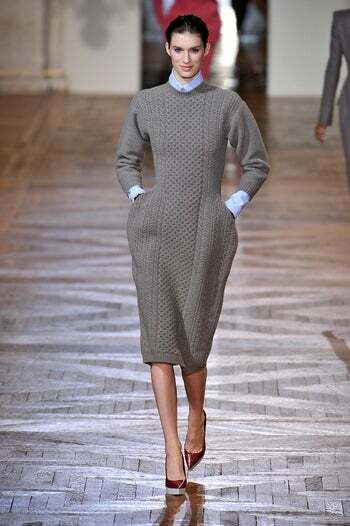 A Détacher Chuu Cocoon Coat, $805, available ta La Garconne.